HomeHua HinExplore Amazing Places in Hua Hin! Visit the famous Huay Mongkol Temple, then explore the unique & beautiful Lub Lae Cave at Nong Phlap! Then, experience arts & culture at Hua Hin Artist Village! In the end, we'll finish with a magnificent view of Hua Hin from Khao Hin Lek Fai! Visit & pay respect at Huay Mongkol Temple (the place of the giant Buddhist monk statue) and stroll around the beautiful surroundings of lakes and waterfall! This is a great opportunity for many photos and selfies! Arrive at Artists Village Hua Hin. View local artists at work, and sample many different displays. Good place for an afternoon coffee break and may be a souvenir. Arrive at Khao Hin Lek Fai. Walk around it's many viewpoints for a spectacular view of Hua Hin and the surrounding areas. End of the trip! Return you to your Hotel or Hua Hin Railway Station! I've had the chance to explore many wonderful places in Hua Hin so I would like to show visitors some amazing places one being Lub Lae Cave which is a hidden treasure and is not yet well known by most tourists so it remains virtually unspoiled. 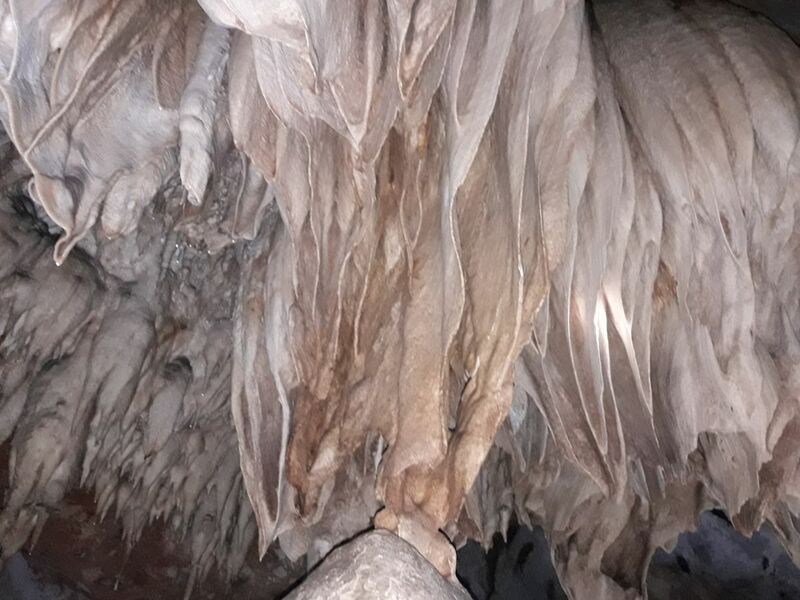 Wear closed in footwear for the walk inside Lub Lae Cave as there are many steps and at times underfoot maybe slippery. P’Jen is very helpful and accommodating. We went to beautiful places and enjoyed nature. She went over and beyond what was expected. Had a great time with P’Jen. It was very good!